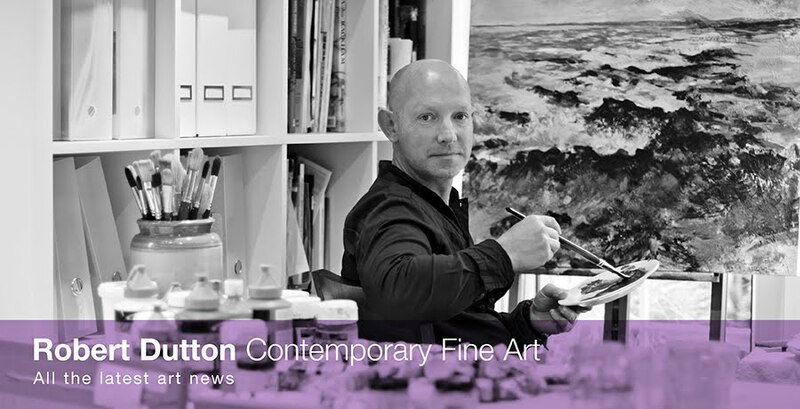 What a fabulous opportunity I was given in November to work with Canson and their professional French team of to help represent and promote their beautiful and exceptional fine art papers at 'Art materials Live' at Birmingham NEC from 7 - 9 November '14. Prior to the event I had been extensively using lots of different papers for Canson and wrote an article for 'The Artist' magazine published in the November issue of the magazine so perfect timing for the event. The article was one of a series focusing on different mills new productions of papers for the art market which was really great to do as I discovered many new things and kept my knowledge up to date with current papers available to artists today. One of the things I did discover was just how exceptional I found Canson papers to be for all my paintings and with different media. Canson papers performed exceptionally well every time! Using different media is really fun to do - especially when you combine them which was exactly what we did at Art materials Live for our receptive audiences and participating students keen to have a go themselves. Running mini back to back workshops on the hour every hour throughout the three days we gave as many people as possible the maximum opportunities we could to see for themselves just how great Canson papers are. 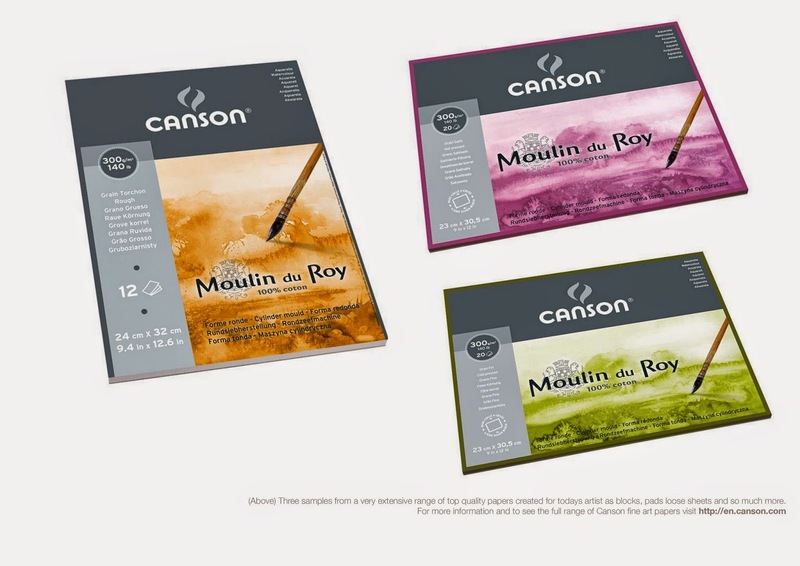 Choosing Canson Mi-Teintes Touch pastel paper then Canson's exceptional Moulin du Roy 300gsm (140lb) 100% cotton cylinder mould made watercolour papers as 'not' and 'rough' textures everyone who worked on the 1/4 imperial sheets given for free to trial walked away with a great painting every time!Everyone loved the responsiveness of the Moulin du Roy watercolour papers and the Canson Mi-Teintes ‘touch’. Following the successes at Birmingham NEC at 'Art Materials Live' I'm delighted to announce that soon I shall become a UK Ambassador for Canson. 5 - 7 June 2015 sees the return of Canson to 'Patchings' Art Festival, Calverton, near Nottingham and I'm looking forward to representing Canson again at this prestigious art event. Two workshops (one in the morning and the other in the afternoon) have been organised with 'The Artist' magazine on 6 June giving you the opportunity to paint a dramatic seascape with mixed media with me using pastel and watercolour on Moulin du Roy 300gsm (140lb) 100% cotton 'not' - one of my favourite Canson watercolour papers! You'll get a goodie bag with other Canson papers as well to take home with you to try as well as free entrance into the show when you book! I look forward to seeing you all at Patchings on 6 June so you too can see just how good Canson papers are for your own art and meet the friendly, helpful French team too who represent these very special and unique top quality papers created with you in mind. 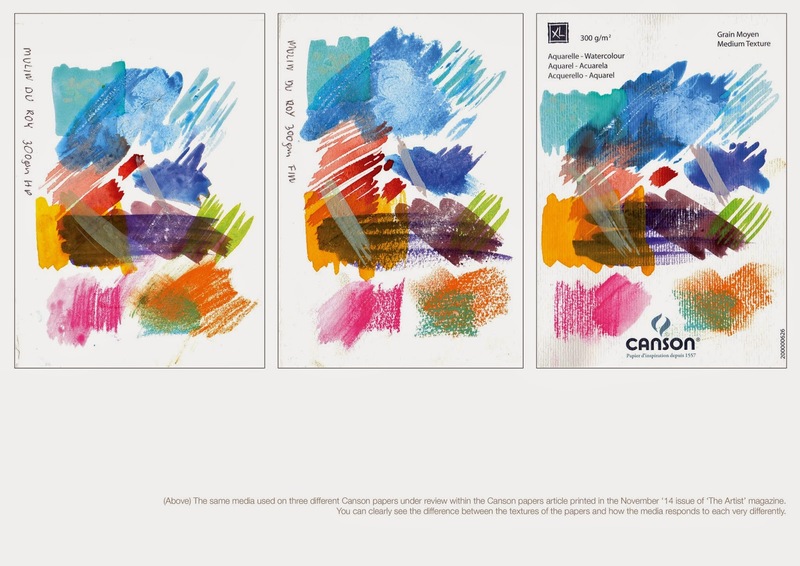 Canson papers will improve your work no end I'm looking forward to showing you how! 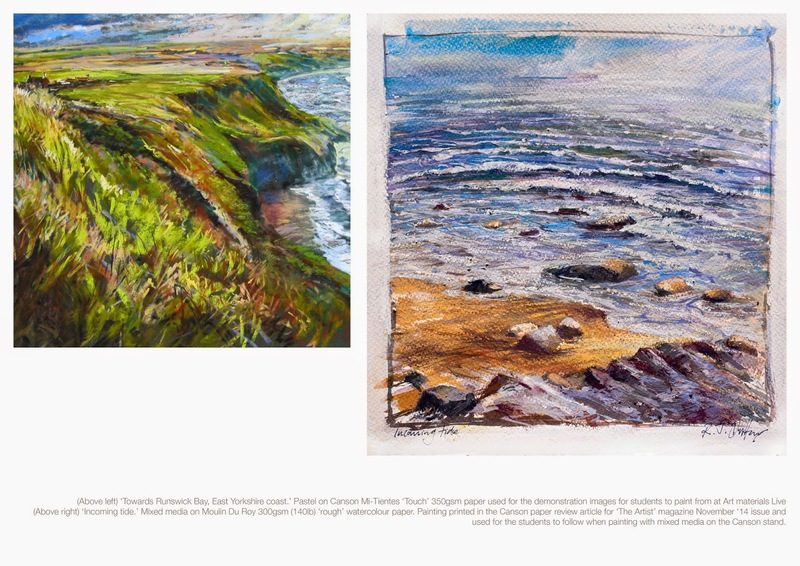 To book your place on the Canson seascape workshops look out for 'The Artist' magazine February issue 2015 or visit http://www.painters-online.co.uk/ in February '15. announcements will be made then in the magazine and online. With 16 limited places per workshop your place will be secured on a first come first served basis. See you soon!